Have you heard the story of the musician who had a brief brush with fame in the ‘70s only to sink into obscurity before being re-discovered decades later by obsessive fans whose documentary reignites their career? 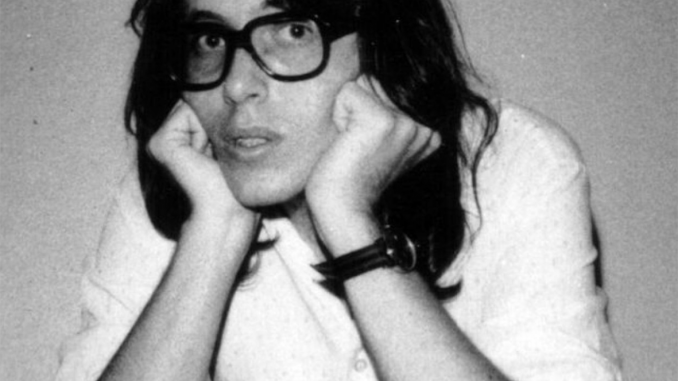 Perhaps Searching For Sugarman – the story of Sexto Rodriguez – springs to mind. This, perhaps, was the template for Waiting: The Van Duren Story, a documentary by Australians Wade Jackson and Greg Carey, who tracked down Memphis musician Van Duren after becoming entranced by his 978 debut album Are You Serious?, which had him being likened by some critics to Paul McCartney. Like Rodriguez he also made a second album but this one didn’t see the light of day until 1999 – too late to capitalise on his early reputation. Unlike Rodriguez, who enjoyed substantial sales with his recordings in Australia and South Africa, Van Duren had no such success and remained a cult figure because of his association with the members of the enormously influential Big Star and producer – and former manager of the Rolling Stones – Andrew Loog Oldham. While Rodriguez seldom toured after his initial success Van Duren has been playing on the Memphis music scene all this time, either in bands or solo; and, while Rodriguez was forced to cancel an Australian tour earlier this year because of ill health, Van Duren will be here for a few select dates. To coincide with the release of the documentary Omnivore Recordings have re-issued the documentary soundtrack with a batch of songs that illustrate why Big Star fans have been so thrilled at Van Duren’s re-appearance. “It’s a beautiful thing, all the way around, you know,” says Van Duren when I catch up with him by phone at his Memphis home just prior to his Australian tour and mention the documentary. “It kind of came out of the blue, but after going on almost three years of the project from its inception, I think maybe I might be getting used to it a little bit!”? Were you surprised when two Australians approached you with the idea of making this documentary about your music? Well, I don’t know if surprise is the right way to put it. I was extremely wary, you know? And I kind of just about brushed ’em off, you know? But they convinced me over periods of time. How did they manage to convince you? By just badgering the hell out of me. No, we had an ongoing conversation and, as the weeks went by, and I did a little research of my own on the two guys, it seemed to me they were about as legit as it gets in these circumstances. So, finally one day – I think about two or three months into the conversations back and forth – we started talking on the phone and so on. Finally they emailed me the receipt for their plane tickets to the United States, and then I realised they were serious. So while the film was inspired by your 1978 album Are You Serious? you’ve been pretty active on the music scene since then, have you? It’s not like you made one album and disappeared altogether. No, that’s correct. Yeah, I never stopped. The soundtrack makes album number thirteen for me. So, you shave been in various bands and making your own music. You moved back to Memphis from Connecticut in, I think, 1981 and you’ve been making music there ever since, haven’t you? But it got nowhere, because once again, I was playing my material in Memphis and at that timeframe, Memphis wasn’t very receptive to that style of music. So, about a year later I helped form basically a cover band with some original material, called Good Question, and that band ran about seventeen years, something like that. Obviously you’ve been a friend of Jody Stephens for many decades now. Yes, I just saw him yesterday as a matter of fact. So, he and I became friends when I was 16 and he was 17. Before Big Star. So, we’ve been friends a long time. Let’s go back in history and just talk about a little bit of your background. Like so many other musicians, you were inspired originally to take up music by seeing The Beatles on The Ed Sullivan Show, which has to be one of the watershed moments in music history. Oh, there are millions and millions of kids at that time who were moved in one direction or another by that event and everything that snowballed after that. One of the things I keep telling my sons – I have two grown sons – and I’ve told them far too many times I’m sure, that no one today understands the depth and the experience of living when The Beatles were recording and playing. Two or three times a year there was a new Beatles album and each one blew everybody’s minds. Like, you just can’t even describe it. It was just a cultural phenomenon, you know? But yeah, that was my initial inspiration. And then the groups that came immediately after that, you know, The Stones and The Animals and Zombies and The Who and all that stuff. It’s a fascinating scene in Memphis, from the ’60s, which we usually associate with places like Stax and before that Sun, obviously and then into the ’70s with Big Star. There were a whole lot of different bands playing there. While people think of Memphis as Stax, et cetera, there were bands – like one of my favourite bands was Moloch, who made one album. That’s an obscure one. But yeah, I used to go see Moloch play over in the Park shell. I mean, I saw them play a number of times – when I was like, probably 17, 18 – you know, and I thought they were really good. They were different for sure. They were a fantastic band fronted by Lee Baker, and just representative of the depth and the richness of the music scene in Memphis. And that, like your album, that often gets overlooked in the history, doesn’t it? Yeah, exactly. You know, the truth is that there’s so much. I mean, everything’s relative, but you know, a hundred years plus of Memphis music from W.C. Handy all the way through Big Star and the Stax stuff and High and Al Green, and Justin Timberlake. I mean, it’s quite a rich history. So, I guess it’s not too surprising that some good things get lost along the way, because it’s like the old saying goes, you can’t have everything, where would you put it? You mentioned Big Star. You auditioned for Big Star at one stage. But you say in the documentary that it was probably a good thing that you didn’t get in the band. The audition didn’t go as well as it might’ve, did it? No it didn’t. It was really not a great idea in the first place. Alex wanted a second guitar player, a lead guitar player. At the time, I had been playing bass for a few years. I wasn’t a great guitar player. And they had a bass player, John Lightman. Tell us about your relationship with Chris Bell. Well, I was aware of Chris several years before I actually met him. I met him briefly in 1970 before Alex joined up with them. They called their band Icewater, and it was Jody and Chris and Andy Hummel. When I saw them play, I saw them at the end of one of their gigs, the last song they were playing, and it was a Free tune, it was a tune by the British band Free. And I was a huge Free fan, I mean I still am. That blew my mind because I’d never heard anybody play that stuff live. So, we were kind of introduced. But that was in 1970. I didn’t really meet Chris and have a conversation with him until not too long after I auditioned for Big Star in ’74. So, it was later in ’74. I was really impressed by his song writing. And that first Big Star record, the guitar sounds just really turned my head around. After that, Van, you put together your own music and you moved to Connecticut. There’s a couple of interesting things about that. I’ll ask you about moving there. But how did you come to be managed by or produced by, a couple of tracks at least, by Andrew Loog Oldham? Well, you know, Jody Stephens and I did a set of demos in early 1975 at Ardent, which we produced ourselves. And again, Richard Rosebrough was the engineer. We recorded four songs, and, of course, the idea back in those days – I guess it’s not too much different now – but you do a demo and you send it out. Back then, the conveyance, the material was cassettes. And we’d send out cassettes to people around the country to see who might have a connection to get us to the record deal. So, Jody had become friends or acquainted with John Tiven who was in turn acquainted with Andrew Oldham, who was working in the studio at that point in Connecticut doing The Stones’ album Metamorphosis. So, Tiven kind of played some guitar on that and they were connected a little bit. So, he played the tape for Andrew – this was in ’75 – and Andrew was interested. So, he ended up coming later in 1975 to Ardent, and cut four more songs on me and Jody. It was another demo. So, that’s how he got it and he took up management the next year. Jody and I parted ways. Jody decided he’d had enough butting his head up against the live music scene in Memphis, and he went back to college to get his degree. By that time, Andrew took me on as management. For a little while. You know, Andrew’s the first to admit, he had some substance abuse fun, and he just wasn’t focused enough to really make anything happen – which I didn’t know until after the whole kind of fell through a little bit. So, it was an education. But I always enjoyed being around Andrew. We’re still friends to this day. He’s a great guy, he really is. Very talented. Was this after you had played with Chris and Jody in their sort of post-Big Star outfit, The Baker Street Regulars? Did that happen sort of around that time? Yes. Yes it actually happened towards the end of that band. That band lasted about six months, basically the first half of 1976. And I flew to New York in April of that year for a weekend, and Andrew was my first trip to the city. So I flew up there for a weekend, and Andrew kind of hosted me and showed me around. I think he was trying to keep me encouraged that they were going to try to get a deal for me. And he came a couple of months later, after that band had, well Chris and Jody had left the band for different reasons. And the bass player Matt and I carried on with my good friend John Hampton on drums as a trio. Andrew came to Memphis and stayed at my house for five days, coming down to hear this band. Basically after that, he flew back to wherever he was staying – I guess Connecticut at that point – and it just all kind of went away. When did you go to Connecticut and record the rest of the album? That was the next year. I went up there in June of ’77. That was again connect to Jon Tiven. He and the owners of the same studio that Andrew was working at, they started an independent record label and signed me as a solo artist. That was actually the first full-length album I recorded. So, I basically sold my bass amp and bought a one-way ticket and flew up there and stayed in Greenwich Village, slept on the floor of a one-room flat in Greenwich Village. Commuted by train back and forth to Connecticut to the studio to cut that record during the summer of 1977. So you recorded the album. And you had a record label. The album was highly praised. You had sort of a connection with Andrew Loog Oldham. What sort of went wrong with the record label and the record sort of has now become what they call a cult classic? Well, you know, cult is an odd choice of words. The record came out in March of ’78. And I toured with a band up in the Northeast United States for a number of months behind the record, promoting the record. Then the label asked for a second album, which I was absolutely thrilled with because the first album is everything you’ve written up to that point. Well, the second album is a year later and you’ve got to come up with that much material again, right? I’d already begun doing that. Just playing with a live band and realising that the first album’s fine but there’s a lot of acoustic stuff on there and it doesn’t translate to live performance if you’re playing rock music. So, it was kind of a shift in style a little bit, for the better. So, I was thrilled to be asked to do a second record. Then around that time, exactly that time, some changes happened to the studio, and over the next year, I finished the record in very early 1980, the second album. We had kind of a standoff with the label and the studio and I just had to walk away. So, I walked away with a cassette of the completed album. But that was it. I had said cult classic and you referred to that phrase, but there was a cult involved somehow in the record label, wasn’t there? Jon Tiven talks about that in the documentary. The Scientologists. Waiting: The Van Duren Story started playing at film festivals late last year, and Omnivore Records has released a soundtrack album. Have you done any kind of live performances to go along with that yet, in the States? We did one live performance. Well, I play live all the time here, but it’s more solo acoustic and acoustic duo stuff. More low key gigs, because that’s where I make my living. I still play almost completely my own material from all these decades. But yeah, when we did the premiere screening of the film for the Indie Memphis Film Festival back in November. We screened the film in one theatre and walked across the street to another theatre where we had set up to play live. We played a live set, mostly songs from the film and that was a packed house, 200 people, you know, in the afternoon. Actually, the guitarist from Connecticut who played on the second album flew down and joined us and played the guitar parts that he played 40 years ago. So, it was a lot of fun. But you know, we had plans to do that going forward, once we come and visit your beautiful country and get back here in what will be spring here. We’re looking at trying to get it out around the country and do some of these things – to actually go out and play with a full band and do it properly. Well, the film kind of suggests that your album can be put on the same level as some of the Big Star albums in terms of the sounds and the influences, and the fact that it has become so revered. What’s your assessment of it looking back after 40 years or so? Well, I think it’s more complicated than that. I really loved the first two Big Star albums. I didn’t really come to love the third album for many years, and then I understood where Alex was coming from. It just wasn’t a place where I found any enjoyment until I got older. But that said, I felt like we were all contemporaries. I was a little bit younger than those guys, a couple years, you know. But I learned a lot, and basically I learned a lot playing with Chris Bell. You know, I watched what he was doing on guitar as I was playing bass, and learned a lot just by watching what he was doing and listening to the sounds he was getting and the way he was putting songs together. That certainly influenced me to some extent. But I really don’t think, beyond that aspect of it, I really don’t feel like I was so influenced about what was going on here. I was a sponge, I still am. I’ve listened to so many different things, and there’s a little bit of everything in there I guess, I hope … You know, it goes back to The Beatles where they really never repeated themselves. It was stylistically all over the place. So, I just never felt like there was a genre or any kind of boundary forced on me, especially when for the most part, I didn’t have any success with any of those. So, who cares except me, right? We mentioned the Memphis music scene at the time. You know, bands like Big Star and your album and other acts which were completely out of sync with what was happening in mainstream rock at the time. You know, that’s exactly right. But again, I don’t think that Big Star or myself or any of the other artists here or elsewhere kind of mining that vein, I don’t think anybody was thinking about, ‘Oh this is so against the grain of what’s going on’. Speaking for myself, I think was pretty oblivious to what I thought was going to be popular. Truly, you just kind of follow your muse and hope for the best. It was interesting in the documentary, you were talking about rehearsing for Big Star, auditioning for Big Star and Alex wanted to play all T. Rex numbers and we were lucky enough to see him here just one playing in a club where he played songs that nobody would’ve expect him to play at all. So, he was that sort of character wasn’t he? Yes, he was. He got more…. ironic is one word. But contrary is another one. My experience with Alex [was] if you said red, he would say blue. And he would argue with you and have a deep conversation in almost an antagonistic way. And that was funny at first but it kind of got old! You know, one of the things I remember about seeing him was him doing a version of the song ‘Volare.’ Which has stuck in my memory ever since. Yeah. It’s hard to wash that one away, you know? And I know why he was doing that. He wanted to distance himself from that power pop quote-unquote stuff. And I respect him for that. My personal journey was just, I’ve said this so many times, but it’s just the truth, you do one album and then you do the next and the absolute first thing on your mind is you can’t repeat yourself. So, when you get a dozen albums into it, you’re really ploughing new ground. Inspiration is what does it. You have to have an awareness though, man that sounds like the one I did two albums ago. So that’s got to go. So, I think it’s the same thing with Alex, you know, like everybody, you know. Since the documentary’s come out, have you got any response from people you’ve met, from fans and that, about the documentary and the album Are You Serious? What sort of response have you got from people? Well it’s an interesting mix, because there are a lot of people who know me around here for what I’ve done in the last five, 10 years, and are just not even aware that all that happened. For instance, the guy who did the vinyl mastering on the soundtrack, a guy named Jeff Powell, he’s a friend of mine. He used to work at Ardent and I’ve known him casually for more than 20 years. And he’s mastering the record, and he is completely freaking out because he’s never heard any of this material and he can’t believe how good it is. So it’s that kind of thing, you know? Are you doing any more recording? Are you doing some recording? Writing, at this stage. Yes, we have three different projects, kind of in the writing stage. So that’s what’s going on right now. Trying to sort out, hopefully we’ll do some reissues of the early albums. And there will be a new Van Duren album of new material at some point. I’m not sure if it’s going to be the next thing or it’s going to be after the reissues. But yeah, everything’s moving forward as always.